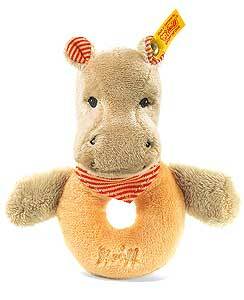 Steiff baby safe MOCKYLI Hippo Grip Toy. Made of the finest Apricot plush for baby soft skin. Machine washable. CE Marked Size 12cm With rattle.